Rohnert Park, CA seems an unlikely place for the newest and hottest restaurant on the veg scene, yet there it sits, the wave of the future. 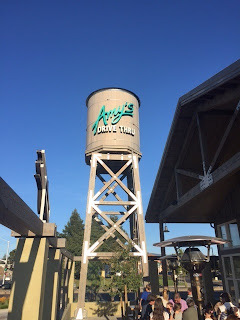 Amy's Drive Thu is a few hours drive from the San Fransisco bay area but is a perfect place to stop for some great vegan food if you are taking a road trip north of San Fransisco. 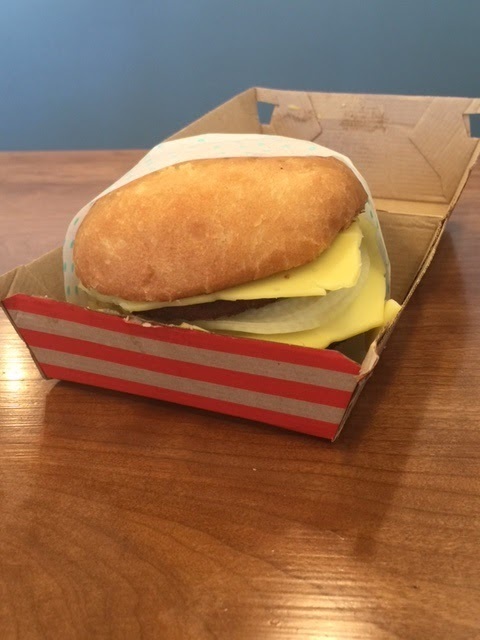 Amy's Drive Thu is more than a new vegetarian drive thru that has a vegan option for everything it offers. I believe it is a sign of the future, how society is embracing veg eating and more compassionate living. This establishment is thriving. We made a special trip up to Rohnert Park to try the vegan fare at Amy's about 2 months after it had opened. I had heard from other vegan friends that the place had been packed, which is always a welcome thing when the restaurant is veg focused, so I decided to wait a while before making the trip up. Low and behold, when we arrived at the incredibly cute and pretty much brand spanking new location, it looked like opening day! The line for the counter was out the door, the line for the drive thu was backed up to the street and there was not an empty eat to be seen. Instead of being annoyed, I was happy to see it. After being open for more than two months, this place was still going incredibly strong. It was a very good sign. We managed to find a small table for two in the chaos and delighted in the traditional 50's drive thru decor that was balanced well with a modern restaurant. We received our non-dairy chocolate shake first and it was delicious. It was so thick that I had to take the straw out to drink it. Just how I like it. For our main meal, we wanted to try out as much as possible. We ordered the Amy burger which was very good but didn't really blow me away. The tomato and green onion mac and cheese lacked in presentation (as you can see), but had a very nice taste, though it won't be making my list of Top 5 Vegan Mac and Cheese. The stand out food from the experience was the chili cheese fries. These were amazing and the one thing that I suggest you try above all others. 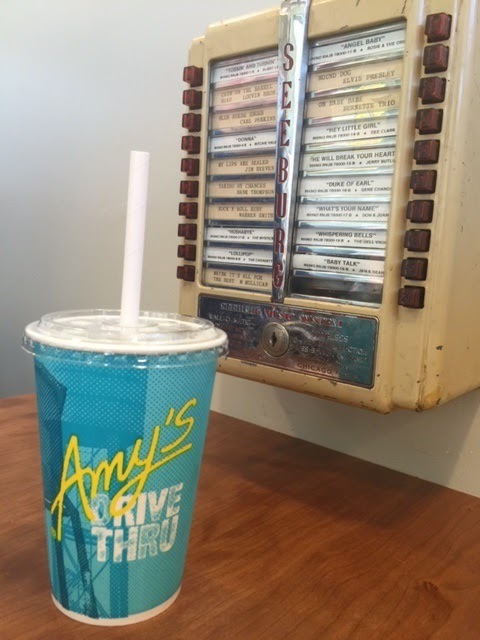 I can see myself getting these every time I make the trip to Amy's. You can't pass them up. I'm looking forward to trying some of the other things on their menu like the vegan burrito and pizza. With so many options, it looks like I'll be driving up there a lot! Make sure you specify that you want the vegan version of everything you order. It's pretty chaotic when ordering and the menu seemed a little confusing to me. What are your favorite vegan spots in Rohnert Park?